February is considered to be the month of love and many people will be under pressure to please their loved ones. Well there are soo many ways you can do it. I am not a relationship expert but doing something new or unplanned can be very exciting. There are many benefits of Nature walks or driving around scenic places you haven’t been before. This really affects the attitude and perspective of the heart. Together you will notice things you’ve never noticed before. Take time to Enjoy the views, and point out the things to your spouse that you are appreciating including them and sometimes You don’t have to talk about anything. Sometimes it’s just nice to be with each other with nothing but the sounds of nature and the footsteps. I have been around many places and this place in Othaya called njigari touched my soul. My guide told me way back this place had the poorest backward people ever but currently the place is well up, with good roads meandering through this village, gorgeous tea farms that look like a green carpet rolling up the hills and down the valleys and at the end of it all the Aberdare ranges picks it up. I tell you this village is breath taking. The main road seems to be on top of the hills such that you are able to see unending valleys over and beyond. I was in awe! hope this images will wow you! Kenya Is truly Magical. My guide exceeded my expectation and on our journey back we were all quiet for a while perhaps trying to digest the magical views. We made a stop at zaina falls another breath taking water falls in Makanga valley in Nyeri. The journey to the falls is quite scenic with streams and rivers, brokes full of trout fish. It kind of reminded me of the late Nobel Peace laureate Professor Wangari wa Maathai childhood story; “when I was a child I would visit a stream next to our home to fetch water for my mother. I would drink water straight from the stream. Playing among the arrowroot leaves I tried in vain to pick up the strands of frogs’ eggs, believing they were beads. But every time I put my little fingers under them they would break. Later, I saw thousands of tadpoles: black, energetic and wriggling through the clear water against the background of the brown earth. This is the world I inherited from my parents. 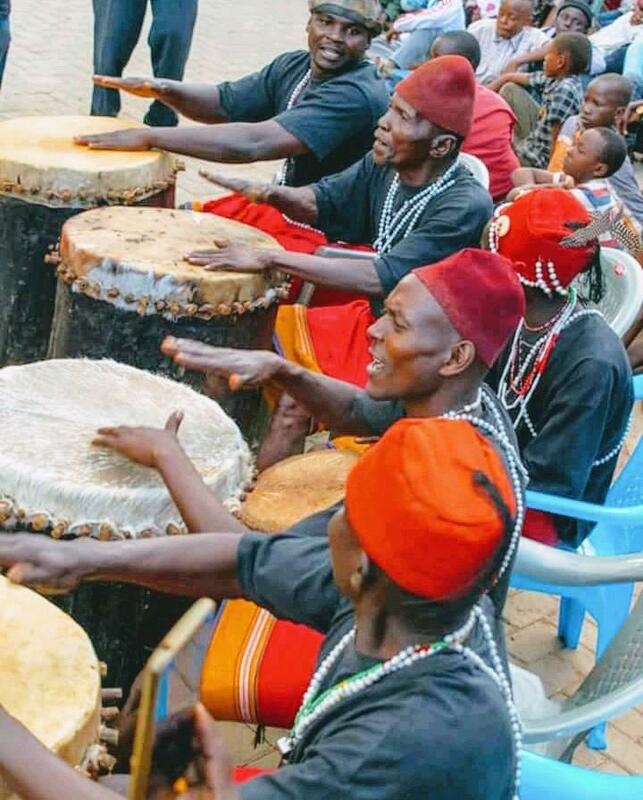 if we may go deeper in Gikuyu customs Wangari was a a munjiru one of the Kikuyu clans The Munjiru has a strong connection to all of nature and with his flute he can keep animals away or summon them to an assembly or to infest an entire village. In this way they were the guardians of the drinking places at the rivers so that people and their livestock could use the drinking places without fear of attack from wild animals. I guess she lived up to her true status..
Getting to Zaina its not a tough terrain but its a 30 minutes walk, the bridge to cross Chania river was broken and there was no way in hell I was going to walk on the log- fear of heights- so i decided to get rid of my shoes and get into the river as it wasn’t as a deep,, but the water was cold and soothing and nice, then cold, soothing lol! when coming here you can carry picnic baskets and just enjoy the magical views. As I bade Nyeri goodbye this is one journey that has been imprinted in my mind… Forever. Always Nice to hear from you drop us a shout out. 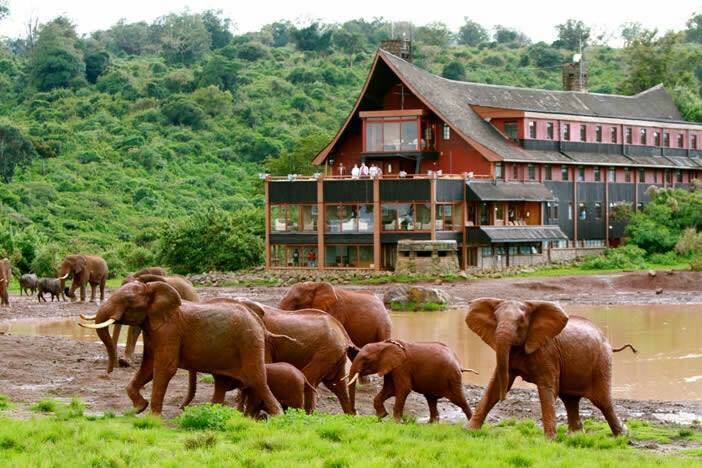 Nyeri county happens to be one of the most green areas in Kenya with dramatic geographical landscapes and attractions. The county has alot of history dating back colonial era.. with most British colonialist settling in this region because the weather was favorable for them and the soils were fertile.. My journey today takes me to the remote and semiarid place of Muiga. My host is Miriam Kinge of Rhinowatch lodge and I am accompanied by StellaMaris of Stejos Tours. 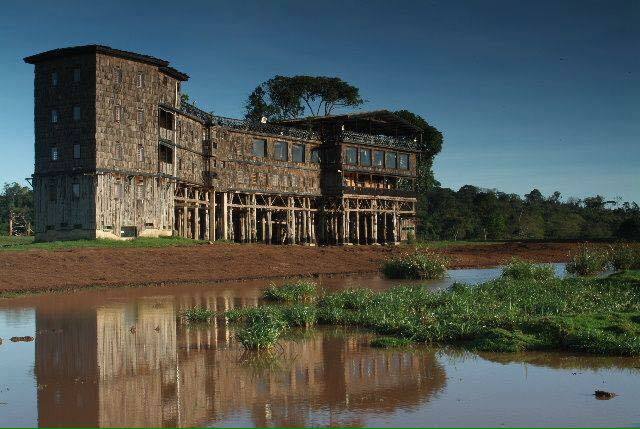 We approached Rhinowatch from Nyeri using the Nyeri-Nyahururu Road and it’s a smooth ride all the way, the lodge is easily accessible as the entrance is on the main highway. When we arrived the team at the lodge was eagerly waiting with a cold towel and welcoming drink. Verily, verily I tell you this was the best thing ever, given that this area can get quite hot. The way that Cold scented towel felt on my skin….. Unlike the surrounding areas this lodge has a well maintained garden with trees allover it looks like an oasis in a semi-arid place. The air changes to a fresh cool, soothing atmosphere. 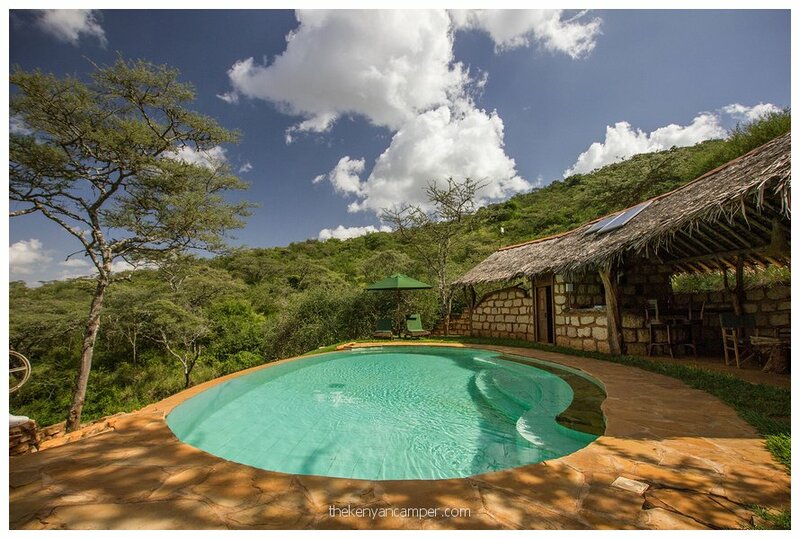 The lodge has 7 luxury chalets 2 of them being family chalets with 2 rooms and 2 bathrooms all fully furnished en-suite with hot water shower and they can fit up to 5 family members. 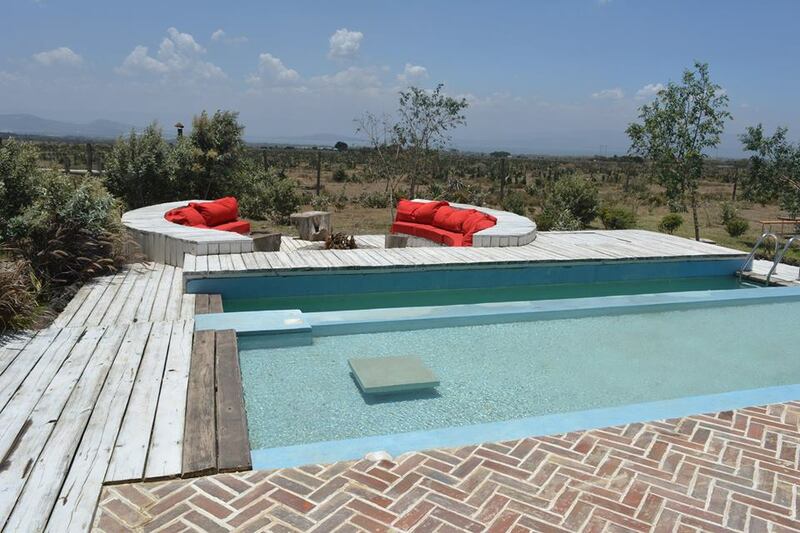 All Chalets have a panoramic view from the bed, overlooking Mount Kenya with very high roof which ensures natural ventilation, private terrace which has attractive view to Mount Kenya and the Solio plains. The terrace overlooks a glorious garden. 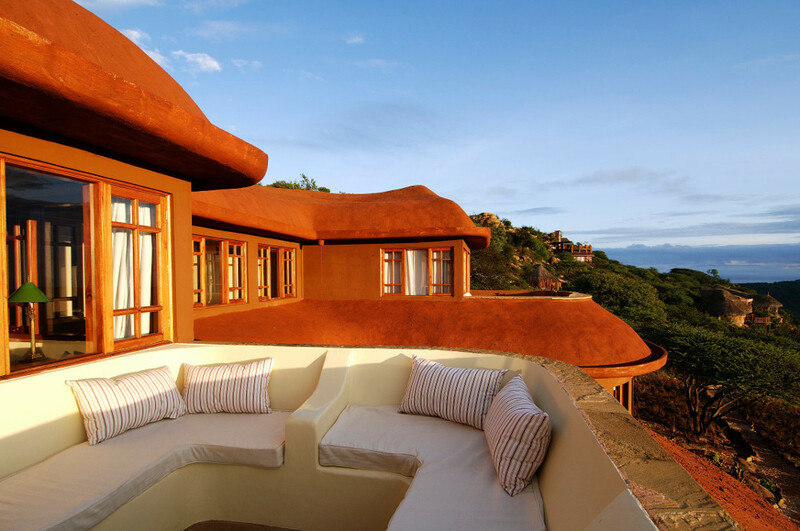 The generous front windows offer a wonderful view of Mount Kenya. The lodge alos have 8 luxury tents 1 of them is a family tent. All accommodations have hot showers and flush toilets, 24hrs electricity with a backup generator. Luxury tents are furnished with either a queen size bed or 2 single beds. The baths are built of stone, offering a comfortable shower, a washstand and a toilet. In front of the veranda you will find a flower garden.All the Tents have been tastefully decorated in the African style.. 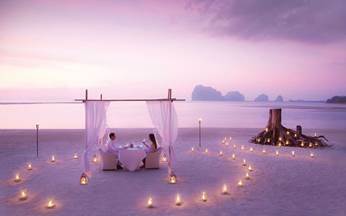 They also have one honey Moon suite that’s away from the main amenities for exclusivity. While interacting with Miriam I realized that the lodge supports local community by giving them jobs and truly I saw that local women were the ones responsible of various duties within the property. 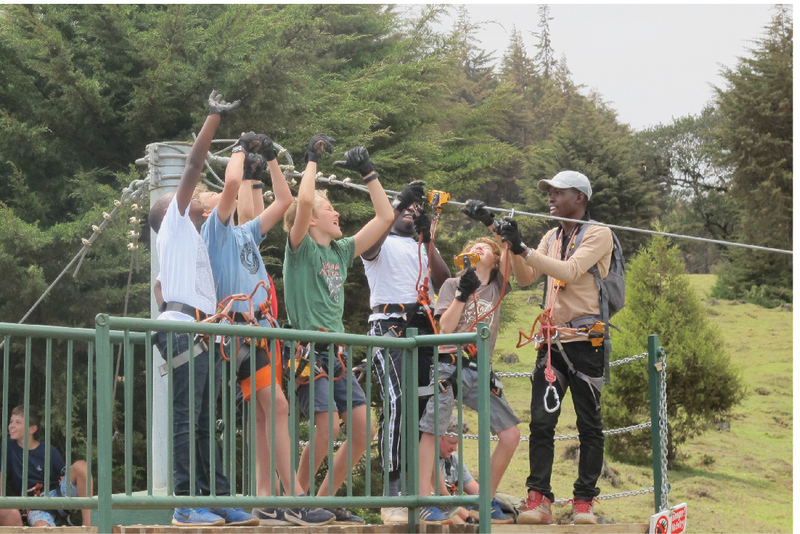 The lodge also supports local children homes, Sponsor some dis-advantaged children through schools and also supporting children who have been affected or Infected by HIV. I spoke to one of the ladies working there and she was full of praise for the opportunity the lodge brought to her and her Family. Surely a community that receive relief food once a many times from The govt they sure have a lot of needs that need support from every one and Rhinowatch is adding value into their lives and restoring their dignity. We highly recommend this lodge the staffs are polished, the food is delicous, the rooms are exquisite and the location breath taking.. 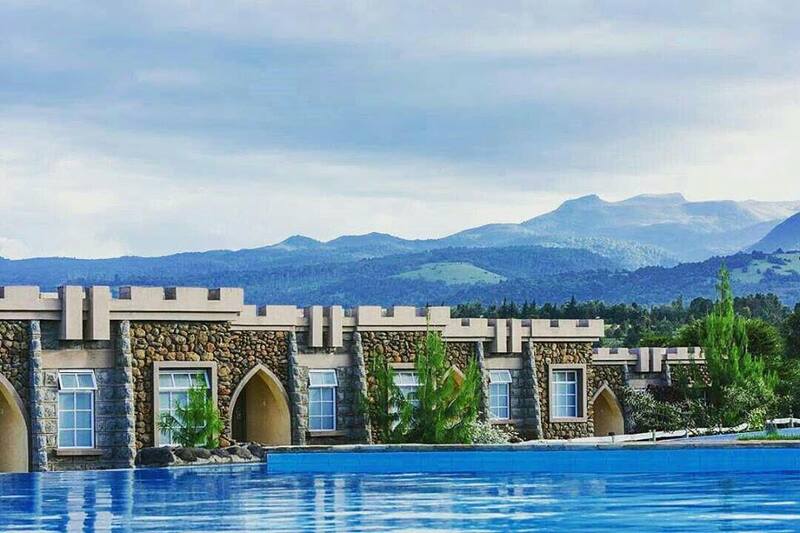 Anyone who would wish to holiday here visit their website or you can reach out to us on venture.omania@gmail.com 0722838338, 0736365886. Feel free to Engage us, to share our blog with others it might just be the holiday they need. Historical tour of Nyeri County with a touch of breath taking waterfalls.. I tend to think a traveler is a seeker, someone with quest that gets satisfied over and over again. It’s through my travels that history has come so alive, be it biblical or otherwise. During my recent journey on my quest to see #NyeriCounty that’s not on paper or google maps, I embarked on a journey together with my two Guides both of whom love this county very much and wonder why most places haven’t been showcased. Well, on this particular day we started by going to the Mau Mau caves on your way to Ngorano.. You branch off at Marua , the junction to Nanyuki from Karatina. Mr.kingori tells me during the colonial Era there was a war there between the Maumaus and the British soldiers it was called Mbaara ya Rui ruiru #BattleOfTheBlackRiver coz the water there looks black maybe coz of the many rocks underneath, and the battle was between the Mau Mau and the british colonial soldiers. The journey is quite interesting with beautiful valleys and vegetation’s and when we got to the falls it was obvious it’s a picnic site for the locals, while someone in Nairobi is dying to be dined and wined at Kempinksy etc a local here just want a quiet moment with the one they love by the falls and use the surrounding kopjes as seats and tables, others find this place good for their pilgrimages or just a quiet secure serene place to connect with Mwene Nyaga.. The journey down the falls is not as steep but has loose soil so it’s advisable to use proper hiking shoes. 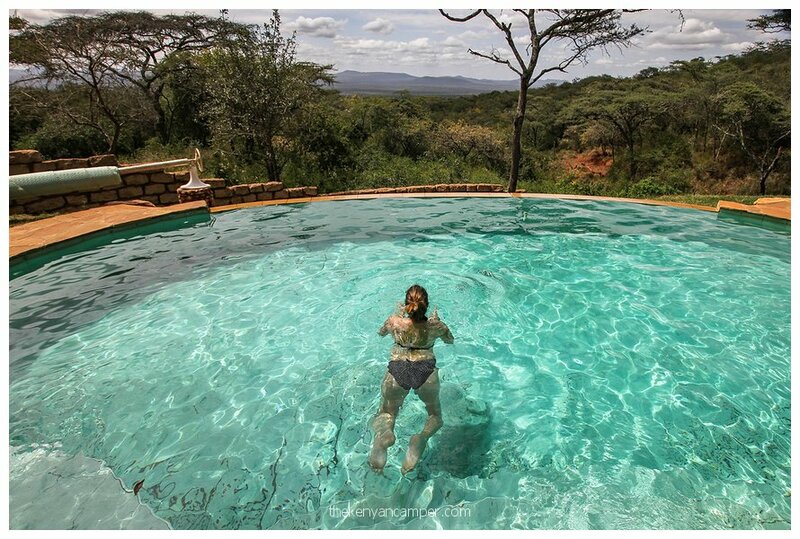 One thing I have noticed during my travels in Kenya, There are three types of people who knew and occupied breathtaking locations 1]The British colonialists, 2] The catholic church 3] The Mau Maus Maybe they selected them keeping their wellbeing in mind…. After visiting the caves we went to in search of other water falls all within 30minutes radius of Nyeri Town. My day ended with a glass of wine at my now all favorite place Le Pristine Kindly note that all this tours can be arranged directly from Le Pristine Hotel Nyeri. Kisumu County as I Experienced it and fell in love..
A journey that took us a few hours from Kakamega landed us in Kisumu city, Kenya’s third largest city and the main urban center in Western Kenya, Kisumu has a lot to offer the to business and leisure traveler. 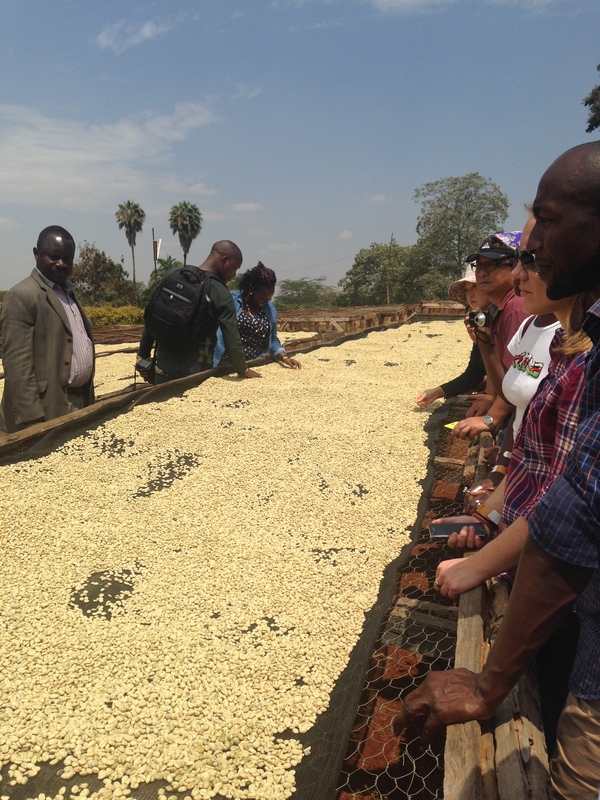 In recent years, Kisumu has transformed from a provincial town to an attractive investment destination. As the East-African member countries are working more and more closely together, Kisumu is ideally located to play a significant role in this collaboration. 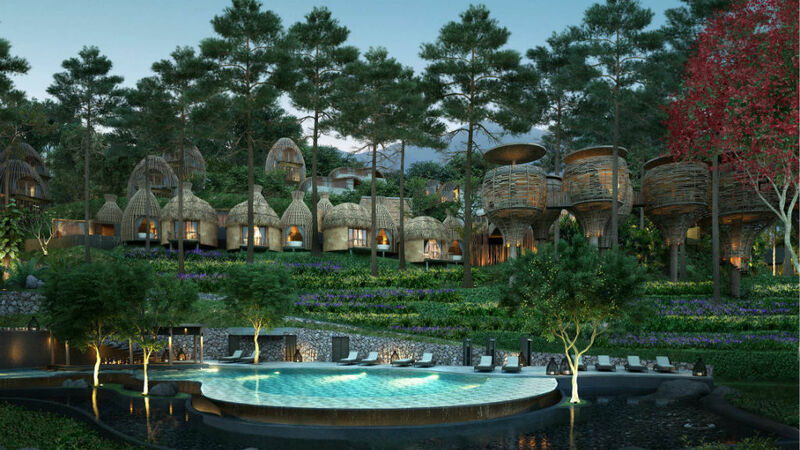 Its location on the shores of Lake Victoria and its proximity to tourist attractions such as Kakamega Forest, Ndere Island and Ruma National Park, make it an increasingly popular base from which to explore Western Kenya- The main reason we were here. We arrived to Kisumu city by road if you were following us you must have already read our previous post we were coming from Kakamega and I must say I was impressed by how much the city has modernized but then again Our Luo brothers are known to have a FIIINE taste.. they say Luo is not a tribe but a lifestyle, and our Hotel proved all this. The Sovereign suites was nothing but incredible the staff was friendly and the meals delicious. Our rooms were quite spacious and comfortable you would just leave here. While in kisumu we also took the liberty to check other properties like, victoria suites, Acacia premiere and jambo Chester inside Impala animal orphanage. . Big ups to the manager of Acacia Premier Kisunu for a wonderful hospitality. 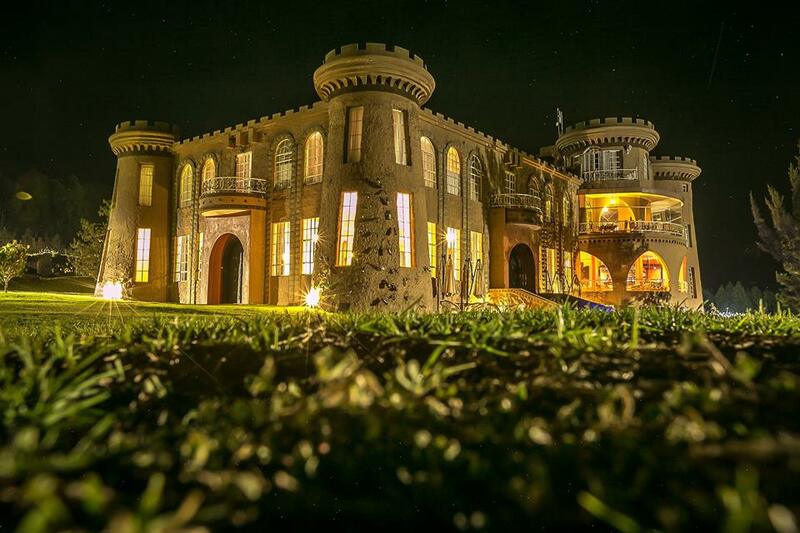 You have truely set the bar high for Bleisure in Kisumu city. Well after an overnight in kisumu city we reluctantly woke up to continue with our journey of west coast. Too bad we couldn’t trace the magical sunset and sunrises with rays reflecting over Lake victoria as the Hycnth has really covered this part of the lake and it looked like one green lake. we started by visit The impala Animal Orphanage. Set on the shore of Lake Victoria, the largest freshwater lake in Africa, the Kisumu Impala Sanctuary is a peaceful, relaxing place to enjoy the natural beauty that abounds here. The sanctuary hosts impalas, the rare Sitatunga antelope as well as big cats, buffalos, giraffes, cheetahs and several primate species. 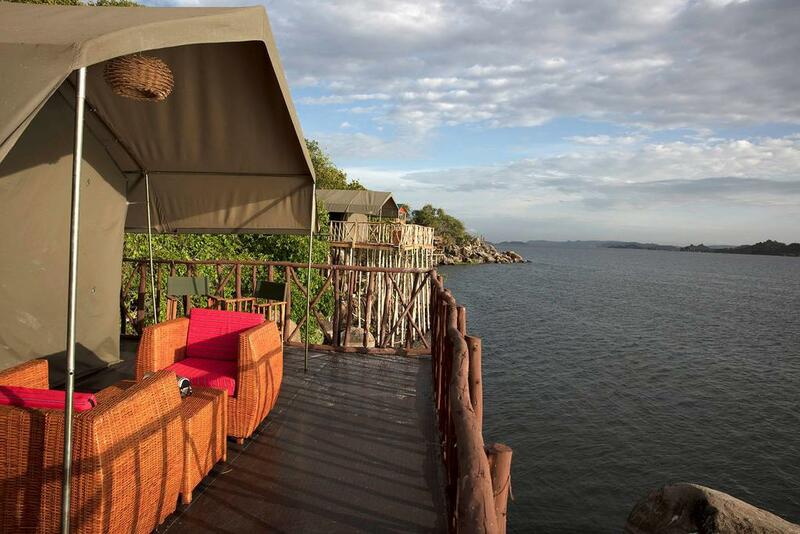 The sanctuary is also home to five campsites all with spectacular views of Lake Victoria. 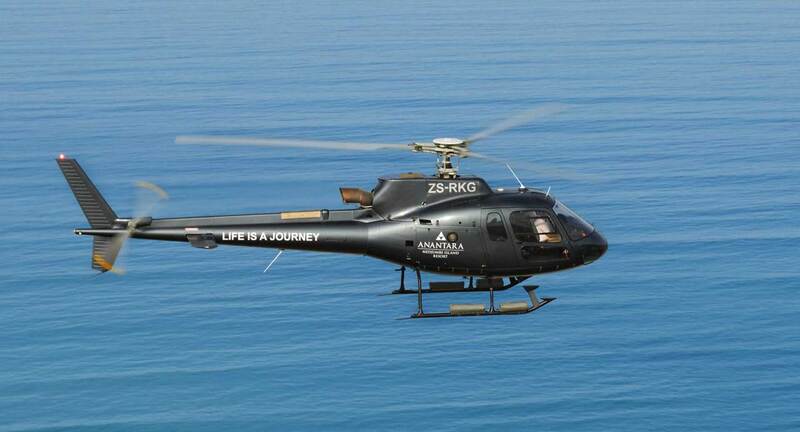 Bird watching, nature walks and glass bottomed boat rides compliment the activities availed at the sanctuary. A Shot on the movie LOST lol.. anyway on the old railway line at Impala Sanctuary Kisumu. There after we headed to Ndere Island and on the way we stopped at Kiti mikayi According to the Luo folklore, Kit Mikayi, mother of the tribe, rested up near Ndere Island, The smallest game reserve in Kenya after her long journey south down the Nile valley.,She found the shore lines so pleasing that she and her people stayed. Folklore also exists about the cause of the rock weeping. 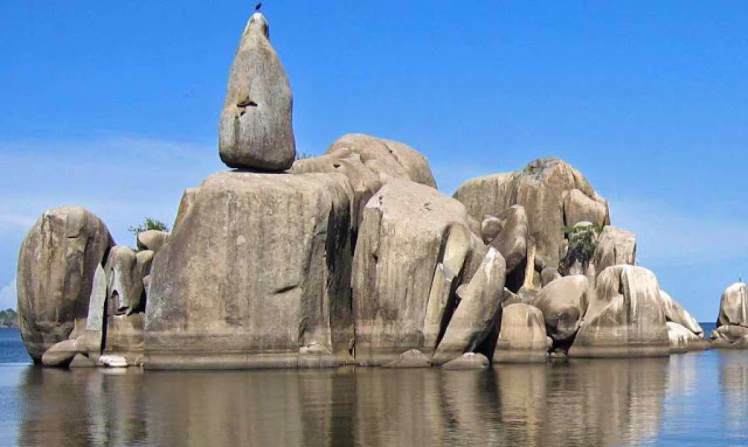 It’s believed that Mikayi, “the first wife” went up the hill to the stones when her husband took a second wife, and has been weeping ever since. Another legend about the weeping rock exists of a man who was in love with the stone. He could wake up in the morning and walk into the cave inside the stone and stay there the whole day forcing his wife to bring him breakfast and lunch every day. The old man become passionately in love with this stone to the extent that if somebody asked his wife the of his whereabouts , the wife would answer that he has gone to visit his first wife-Mikayi hence the stone of the first wife is Kit Mikayi. After Kiti Mikayi we headed to Ndere Island. The rocky features full of kopjes as we descended to board our boat was kind of interesting to the eyes and photographers alike. Located on Lake Victoria, this island is a haven for birds. Covered mostly in grassland, Ndere Island provides beautiful scenic views of the Homa hills to the south, Mageta Island to the east and the glimpses of Kampala in Uganda beyond the south west horizon. 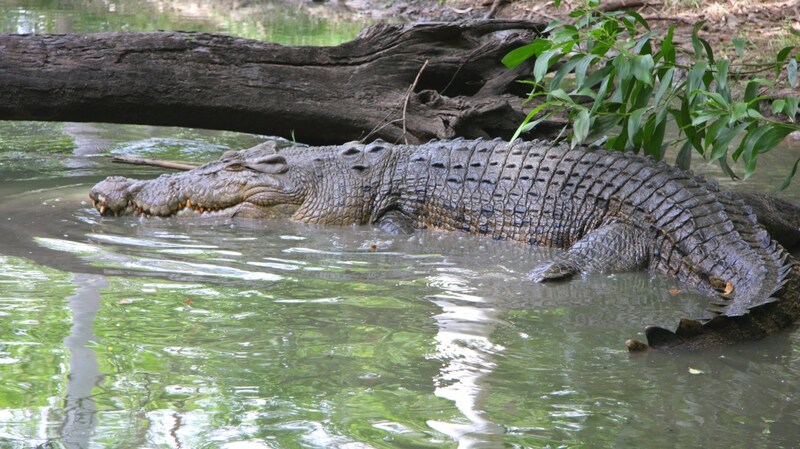 The lake shore supports a wide variety of animals including hippos, monitor lizards, Nile crocodiles, several fish species, snakes, baboons, impalas, the rare sitatunga antelopes, water bucks, zebras and warthogs. Over 100 different species of birds can be seen here including African fish eagles, black headed gonoleks and grey headed kingfishers. The community around Ndere island were very hospitable and we learnt quite of interesting things at-least I learnt how to mend fishing nets lol..
learning how to mend fishing nets. We got at the boarding port quite early and trust Kenyan Travelers the first thing they look for in a new place… Nyamchom but in this particular area FishChom lol too bad…but they Got something else.. hehe! The CEO of Lake Victoria tourism Mr.Antony Ochieng acting as a translator to a local Dholuo elder during preaching. Apparently they do this before boarding the ferry to calm the sea. That is a story for another Because someone started calling all travelers for a spiritual session. Apparently Before boarding the ferry all passenger must gather prayer and read the bible together to ward bad spirits away…. and the preaching were in Dholuo wee! 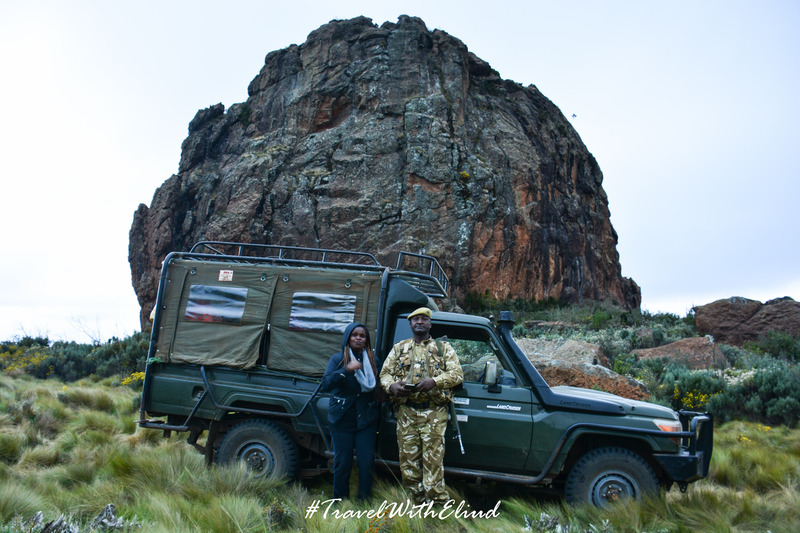 But Antony our fellow Tourism Ambassador were there to safe the day and do the interpretations hehe…. It was kind of interesting. One thing travel has taught me is to mingle and fit in with the locals as much as possible you will learn a lot of things not on any map or book. The ferry was still taking sometime and some of us decided to put on a show and dance on the shows of lake Victoria. Tip; while on a long journey; sometimes just looking through the window can be exhausting carry a book, Great company or some music with you. It will break the monotony. But I must say Kisumu county is quite Gorgeous… and the residents quite fun to be around. Our “Vifarus” also waiting to board the Ferry. The magical sunset that welcomed us to Mbita. 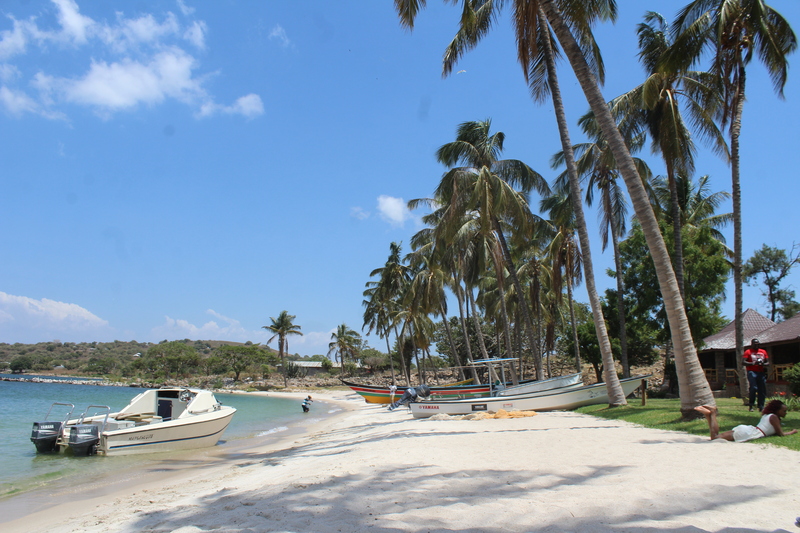 We got to Rusinga Island quite late and my #TwendeWestern Tale continues…….